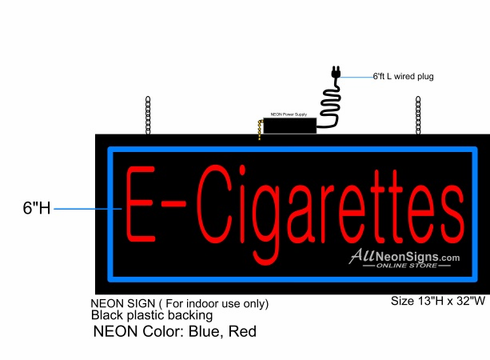 Promote your vaping and e-cigarette business with this colorful neon sign from AllNeonsigns.com. This E-Cigarettes neon sign measures 13 inches in height by 32 inches wide. The border is bright blue neon and the text is neon red. Two very bright colors to attract the attention of passerbys.